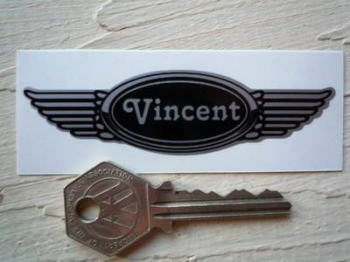 Vincent - I Say Ding Dong Shop - Buy Stickers, Decals & Unique Automobilia. Vincent 'A Class By Itself' Art Banner. Special Offer to Clear. 30" x 40". 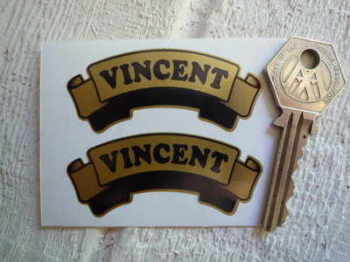 Vincent Advert Style Laser Cut Magnet. 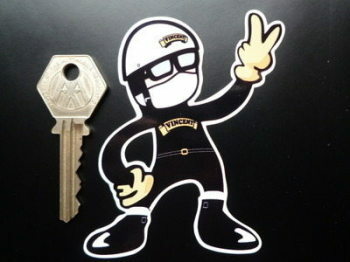 2.75"
Vincent Gold Scroll Stickers. 2.5" Pair. 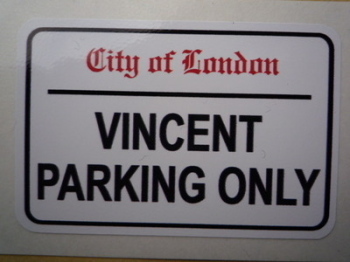 Vincent Parking Only. London Street Sign Style Sticker. 3", 6" or 12". Vincent Rider Pudding Basin 2 Fingered Salute Sticker. 3.5". Vincent Scroll Style Art Banner. 28". 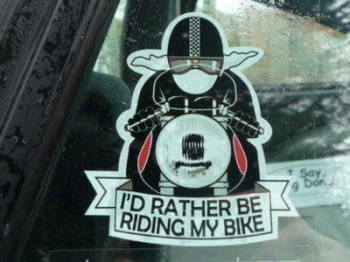 Vincent Winged Helmet Sticker. 3.5". Whitbys of Acton Ltd Motorcycle Dealers Acton Vale London Sticker. 2".